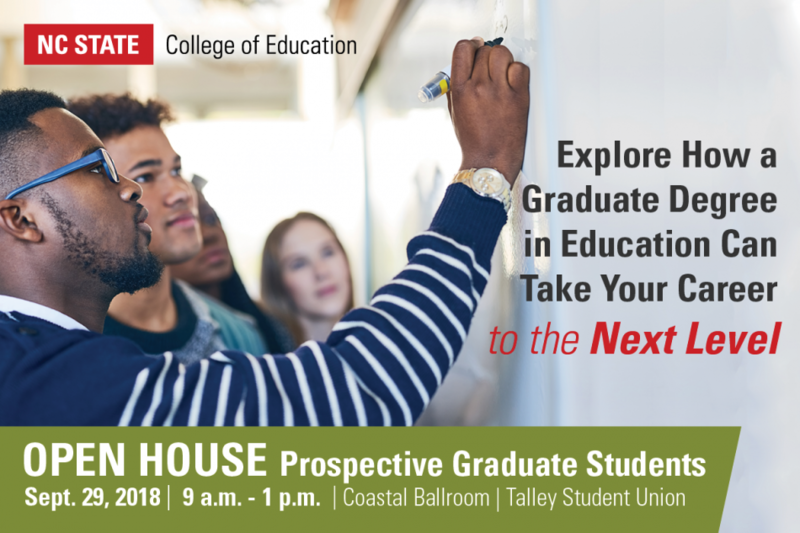 Join us at the Graduate Student Open House on Saturday, Sept. 29, at the NC State Talley Student Union. Learn best practices on applying to our graduate programs and how to succeed once you’re enrolled. This free event is open to all prospective master’s and doctoral level students. The day will include panel discussions and a program fair designed to prepare you for graduate education and allow you to connect with our faculty, staff and students. You will also have the opportunity to meet with faculty in your chosen program area of interest. For questions, contact Dr. Melvin (Jai) Jackson. A continental breakfast will also be provided at no cost, but you must RSVP using the form below.